K9 Benco is a 2 year old German Shepherd and has been with the Sheriff’s Office since December of 2015. 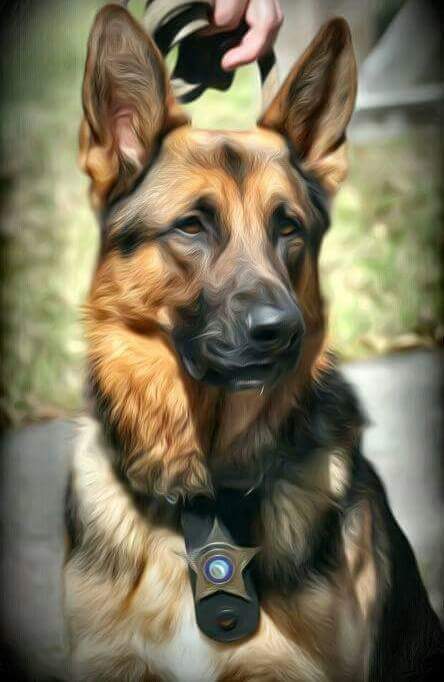 He was purchased at the age of 15 months by the Sheriff’s Office after arriving from Germany and was in the United States for one week when he was paired with his handler, Deputy Patrick Bingham. Along with his handler, K9 Benco received his FDLE Patrol K9 Team Certification in May of 2016 after 4 months of K9 Patrol School. 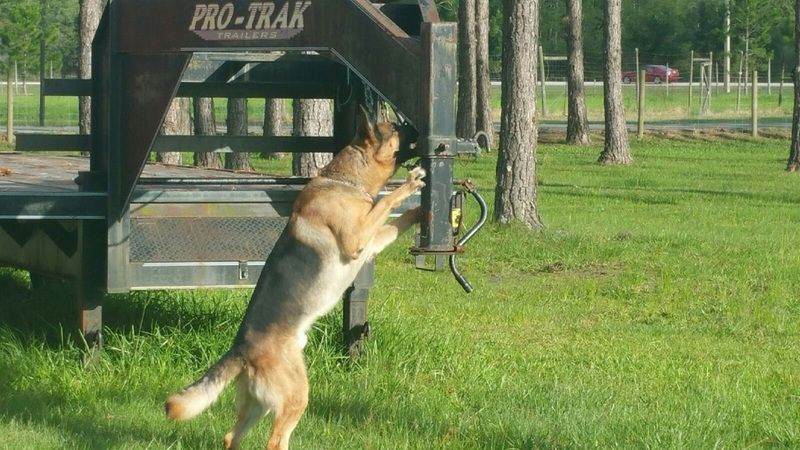 K9 Benco is extremely intelligent and is always eager to work and train at his new job. 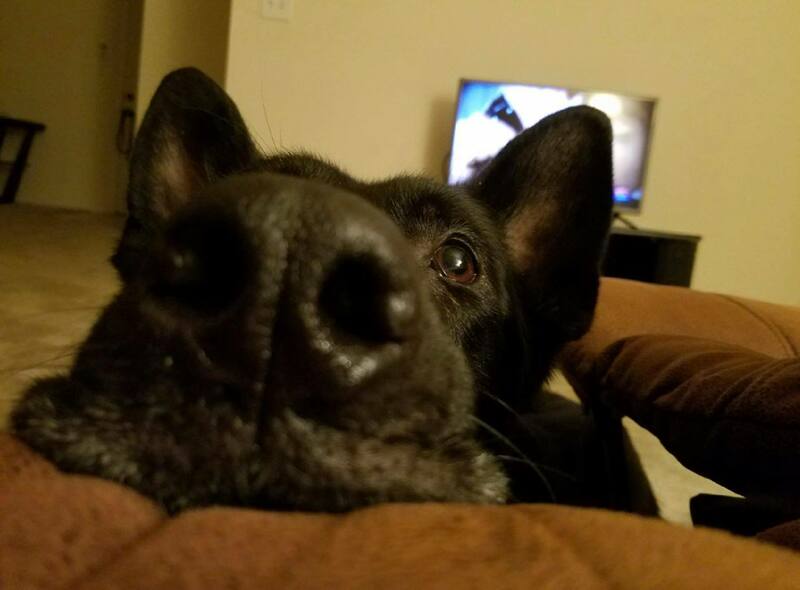 At home, K9 Benco enjoys relaxing with his partner and family. He loves chewing on bones, chasing tennis balls and running around the yard. K9 Benco has also become quite fond of ice cubes and arrives at the refrigerator when someone is getting ice for a drink; he immediately sits and waits patiently for his ice cube. K9 Benco has become a great partner and has forged an awesome bond with his handler. 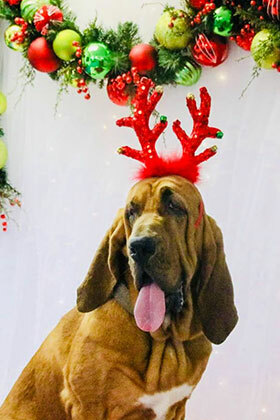 K9 Buster was purchased from Lake Kennel’s in north Florida in late 2015 at 10 weeks old and is the only Bloodhound at the Pasco Sheriff’s Office. We started training him to track people at the age of 14 weeks. 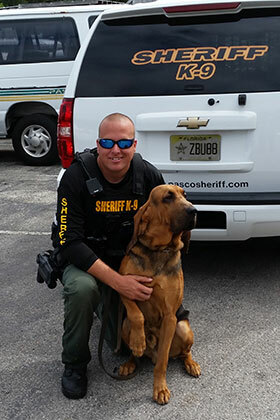 He attended a 16 week patrol school starting in January of 2016 and then attended a Bloodhound Specific Tracking School in Tallahassee in September 2016. 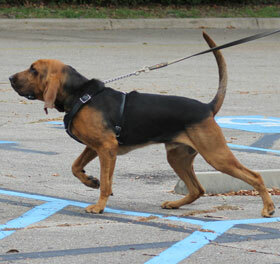 Bloodhounds are known for their ability to track with an extended time delay and have the ability to discriminate scent. They are able to track a specific person even through a crowded area several hours later, and stay on that single scent until the end of the track. Since Buster has been working the road he has compiled 8 catches/finds, ranging from missing children to felony suspects. He is excited to work and tracks very well for his young age. Buster is handled by his partner, Deputy Chris Miller. Deputy Miller came to the Pasco Sheriff’s Office in 2007 after working at Dade City Police Department for 4 years. Deputy Miller is a K9 handler and has also been a SWAT Team member and Sniper since 2008. In their off time Buster and Miller like to hang out at the house with their family and play in back yard. 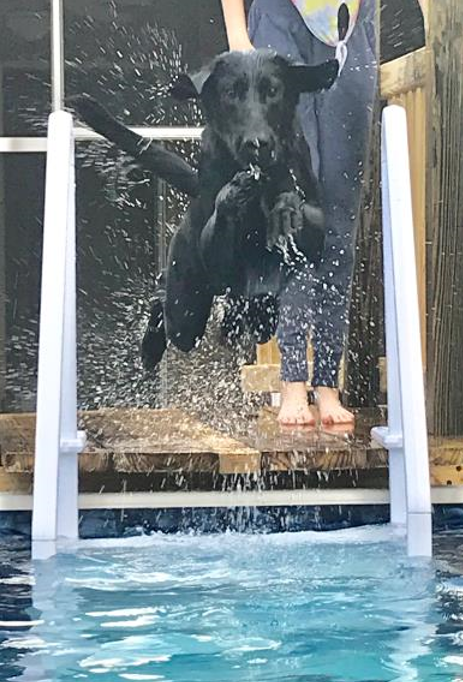 Buster loves to swim in the pool and occasionally jumps on the trampoline with the kids. K9 Chris is a two year old German Shepherd who was donated to the Sheriffs Office by a private citizen. Chris was purchased in January 2016 and completed his training in May of the same year. Chris is trained as a “patrol” dog and is used to track criminals, search buildings and in the near future he will be cross trained to find cadavers. Chris is handled by Cpl. Liddick. 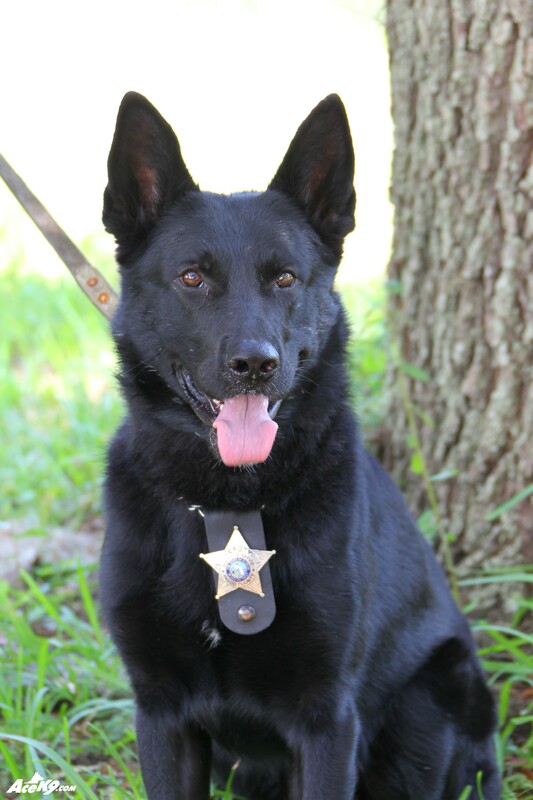 K9 Dobies was born in Hungary on September 18th, 2013. 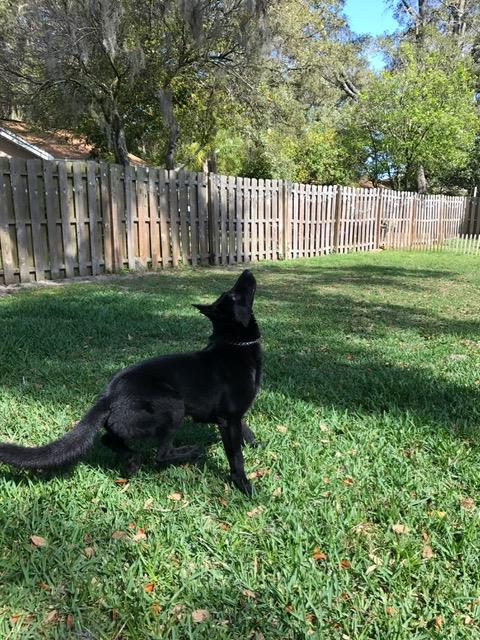 Off duty, K9 Dobies enjoys playing fetch and sunning himself in the backyard with his two canine brothers and one canine sister. 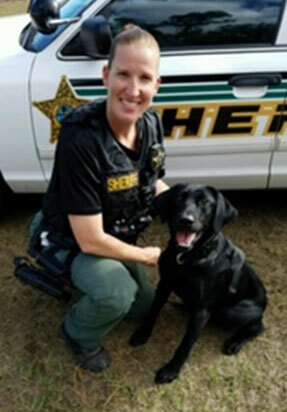 K9 Dobies and Deputy Demas are assigned to the Pasco County School System. Deputy Demas has been with the Pasco Sheriff’s Office for 18 years. During those 18 years, Deputy Demas has been assigned to and worked Road Patrol, Vice and Narcotics, Bailiff, and the Fugitive Warrants Unit. K9 Dobies and I are new partners and hope to continue working proactively to keep Pasco Schools drug free. 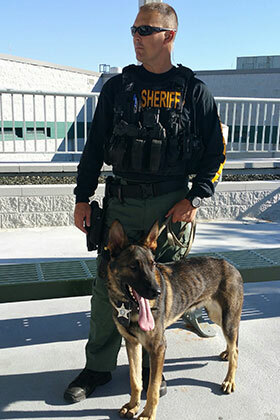 Deputy B. Hernandez and his K9 Doc have been working the streets of Pasco since March 2016. K9 Doc is a yellow lab who will be 2 years old in December 2016. 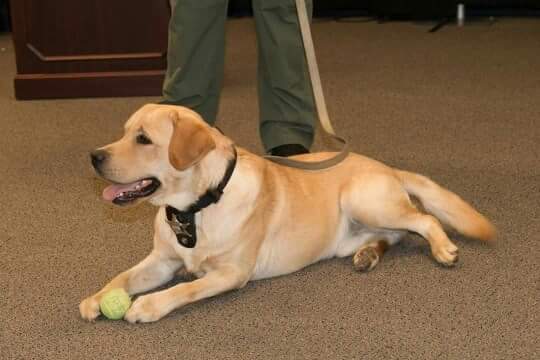 K9 Doc was born in the Netherlands and was purchased with a generous donation from 2 time MLB Cy Young award winner and Pasco resident, Roy “Doc” Halladay. K9 Doc and myself currently hold 2 narcotics detection certifications with a total of 10 weeks of training. K9 Doc has 3 other fur siblings and loves being home on his days off. K9 Doc enjoys ice cubes and loves anything that bounces. 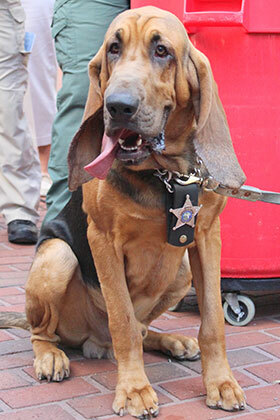 K9 Doc is Pasco’s friendliest K9, who loves attention from people and enjoys shaking paws. 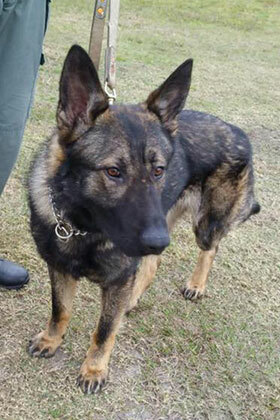 K9 Farrell was born 11/04/15 and is a 16 month old German Shepherd. Farrell came from Czech Republic early this year before we were paired in February of 2017. I’ve been employed with the sheriff’s office since 2014. Farrell and I are currently in the “Patrol” Canine school. Before coming to the unit I worked District Two patrol. I am also on the SWAT Team and worked as a Gang Liaison while on patrol. Farrell enjoys playing with his tug toy and his Kong. He is energetic and enjoys going to work. 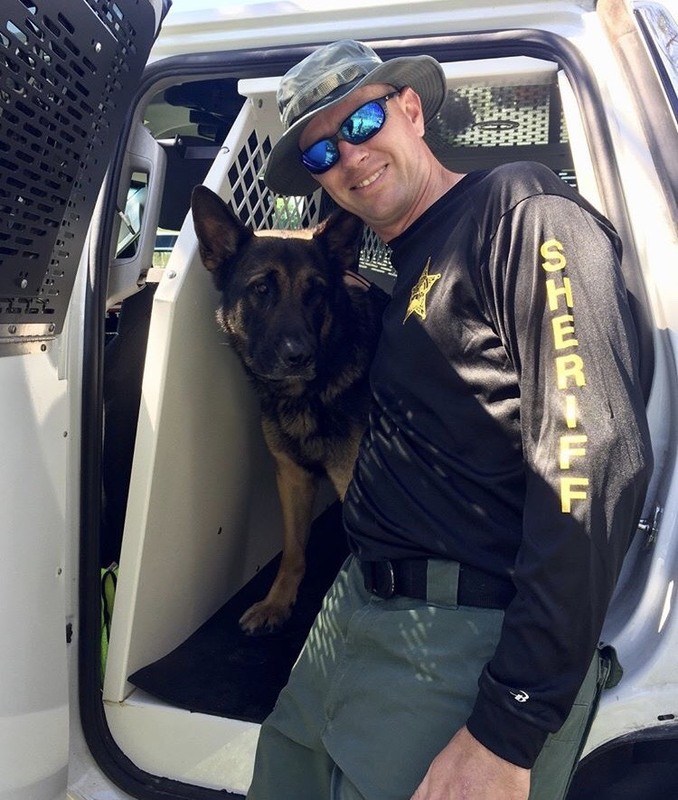 Jango’s new partner Deputy Stockton, spent 11 years in the Army with tours in Korea, Operation Enduring Freedom (Kandahar, Afghanistan) and Operation Iraqi Freedom. After getting out of the Army, I began working for the Brooksville Police Department. I was there for four years, one of which I was a K9 Handler. 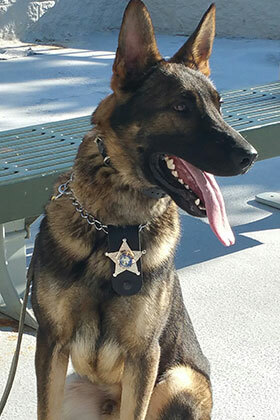 I was able to do some training with the Pasco Sheriff’s Office K-9 unit, and I was impressed, so I submitted my application. I was hired in September 2016 eventually trying out for K9, which I was selected for. Jango was assigned to me in March 2018. Being a K9 handler is a challenge, which is why I enjoy it so much. 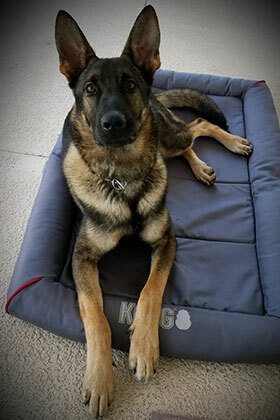 Having Jango for a partner and being able to watch him and develop him while doing what he loves makes the job worthwhile. The feeling of accomplishment when working as a team to locate a suspect or missing person is hard to put into words. K9 J.R. is a German Shepherd born in Germany on March 29, 2016. 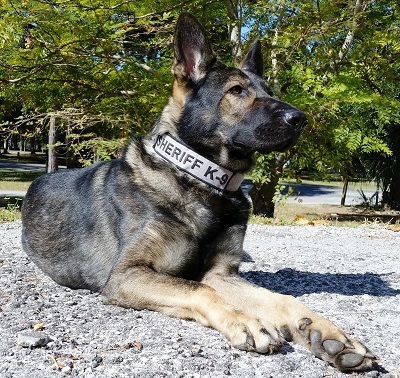 J.R. was purchased with funds donated to the Pasco Sheriff’s K9 Association from a very generous citizen in October 2017. J.R. was named by the donor after the unit’s lead K9 trainer, Cpl. John Rux. 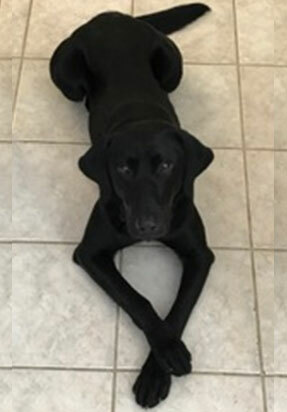 J.R. is trained as a multi-purposed K9 and skilled in the disciplines of tracking, criminal apprehension, evidence recovery, obedience, area searches and building searches. J.R. is handled by his partner, Deputy Chris Stone. Dep. 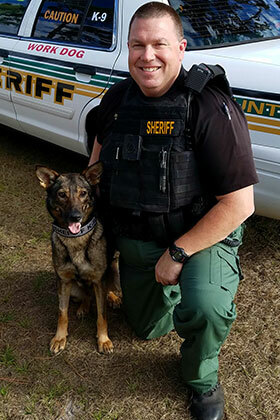 Stone came to the Sheriff’s Office in 2016 from the Dade City Police Department where he worked for 14 years as a K9 handler. 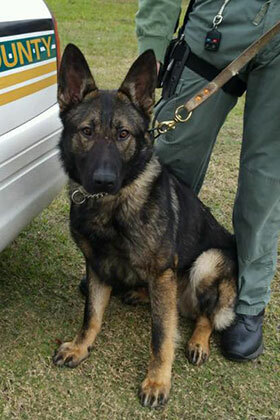 Prior to transferring to the Sheriff’s Office K9 Unit, Dep. Stone worked as a Fire/Arson Detective in a joint unit with Pasco Fire Rescue. Dep. 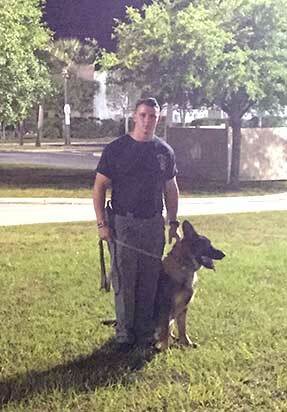 Stone is also a certified FDLE K9 instructor and assists with training as needed. 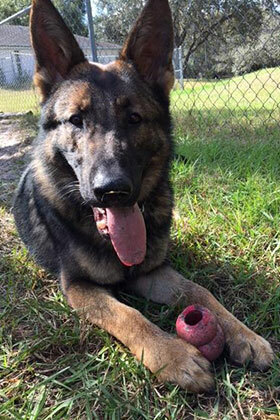 When off duty, J.R. enjoys playing with retired Dade City Police K9 Ryko and relaxing with his partner’s family. 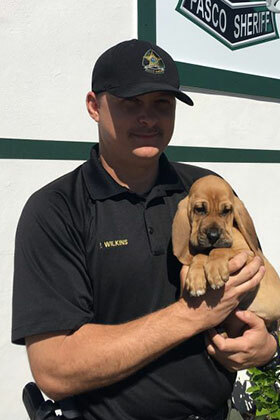 K9 Knox was born January 2017 and came to the Sheriff’s office at 8 weeks old. 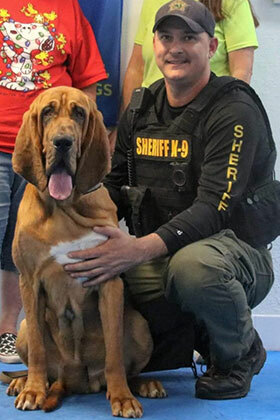 K9 Knox was purchased for the Sheriff’s office by a Pasco County resident and supporter of the K9 Unit. K9 Knox underwent extensive training to track and trail missing persons and fleeing criminals. 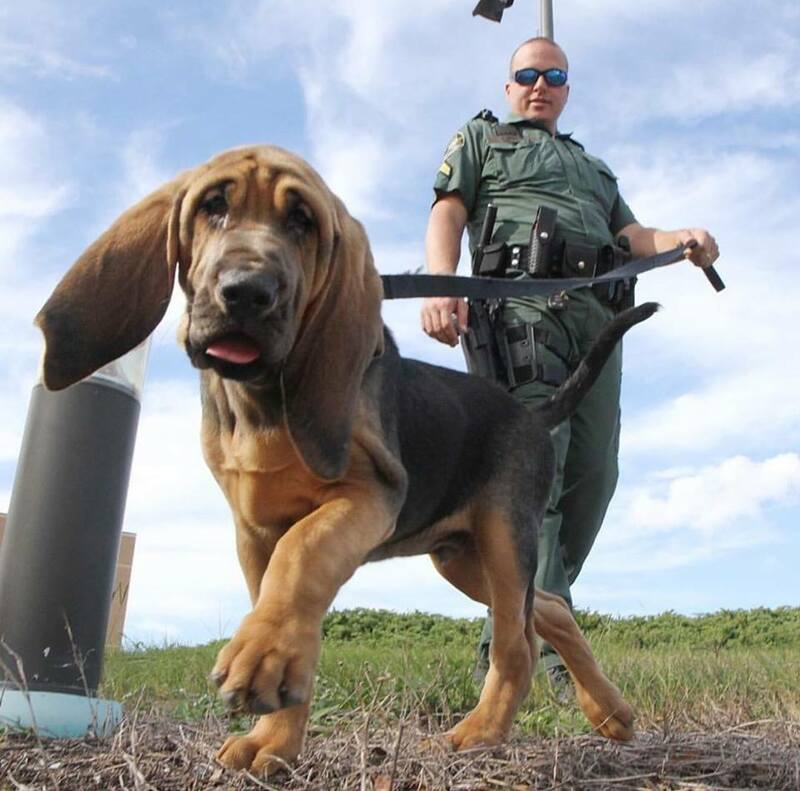 K9 Knox was certified through the National Police Bloodhound Association at 10 months old. 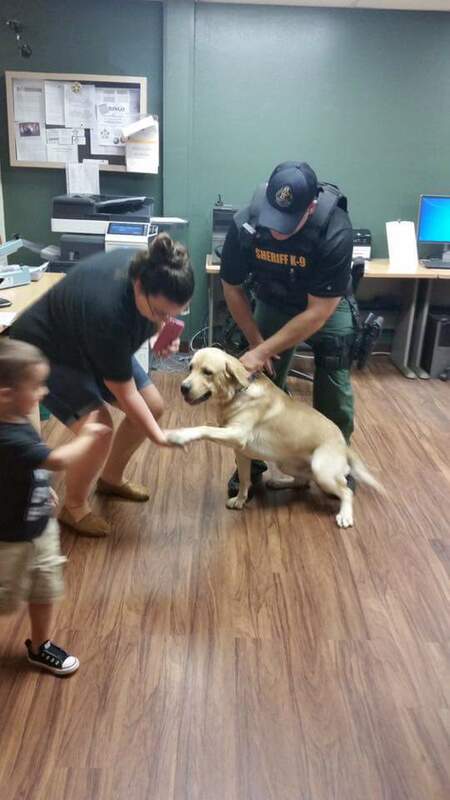 K9 Knox is handled by Dep. Rob Wilkins who has been with the Pasco Sheriff’s Office since 2000. Dep. 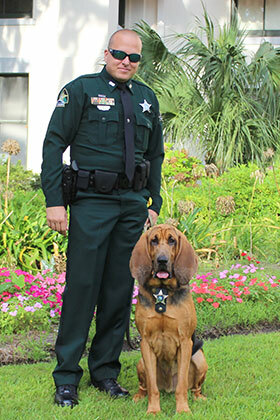 Wilkins has been a K9 handler for ten years and previously handled K9 Copper (Bloodhound) and K9 Lee (German Shepherd). 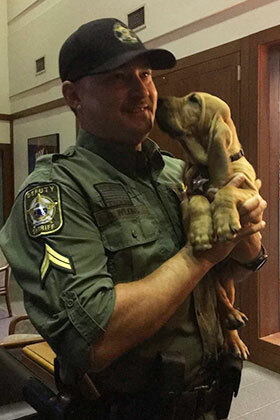 When off duty K9 Knox lives with Dep. Wilkins and enjoys playing “Keep Away” with his Boarder Collie friend Scout. K9 Mac is a 20 month old Labrador retriever. 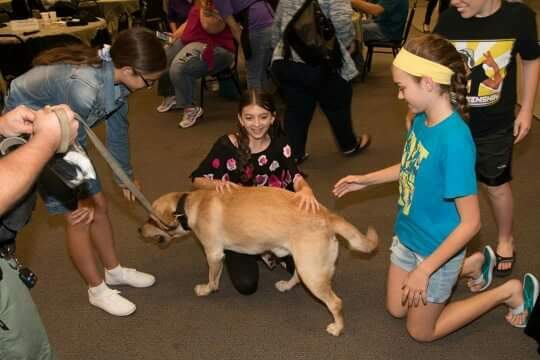 Mac came to the Pasco Sheriffs in October of 2017. Mac’s job in the near future will be to locate cadavers both on land and in the water. Mac is black in color and weighs 40 pounds. Her partner is Scott Grant who is a retired K9 handler and has returned as a volunteer to work with K9 Mac. K9 Strong is a 2 year old female German Shepherd from Hungary. She joined the agency in December 2016 and is one of only two female K9’s in the unit. 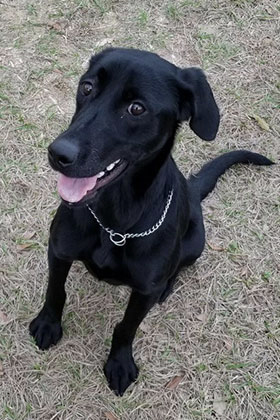 She is a single purpose narcotic’s dog and is currently assigned to the Sheriff’s Office Drug Interdiction Team with her handler, Deputy Ricky Frisco. 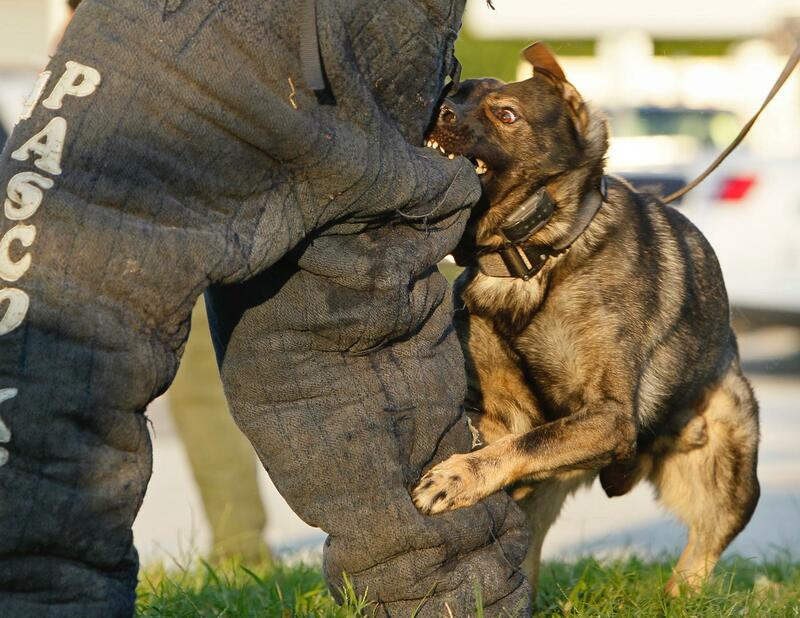 Strong is very energetic, loves to go to work, and is very good at detecting the odor of illegal narcotics. At home she loves playing in the back yard and relaxing with the family. Dep. 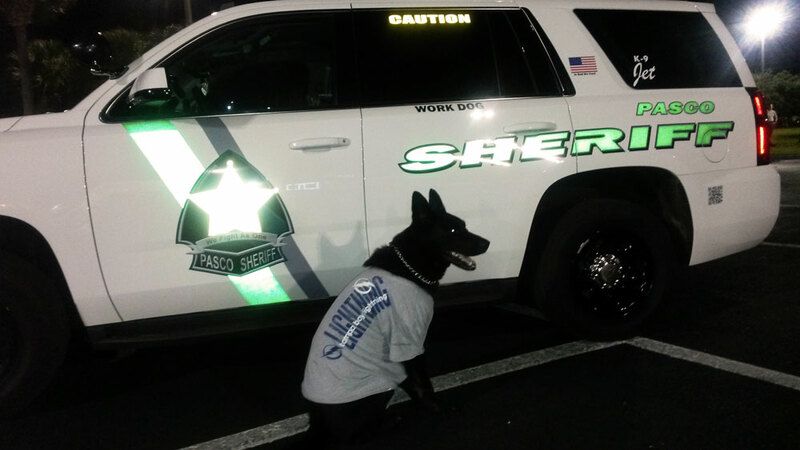 Frisco has been a deputy for 17 years and started his career in his home state of Maine. He moved to Florida in 2005 and for the past 6 years was a member of the agency’s motorcycle unit. 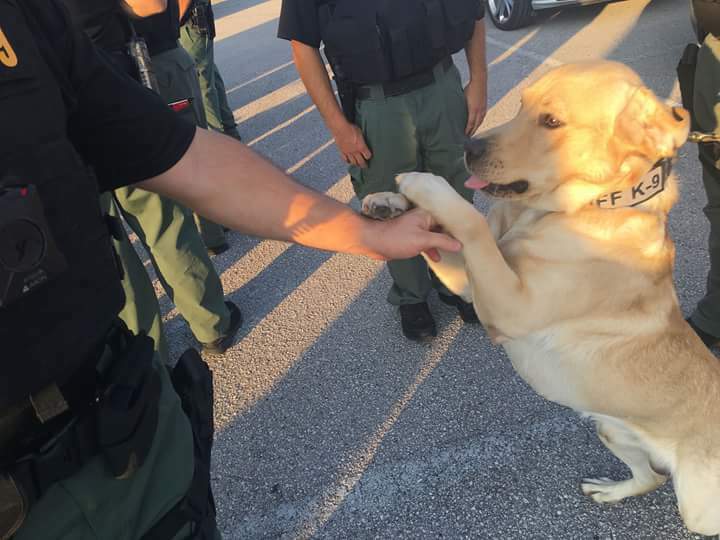 He is looking forward to working with his new partner, in his new role, and to help keep the illegal drugs out of Pasco County. K9 Shep is a 4 year old German Shepherd and was purchased in August of 2015. 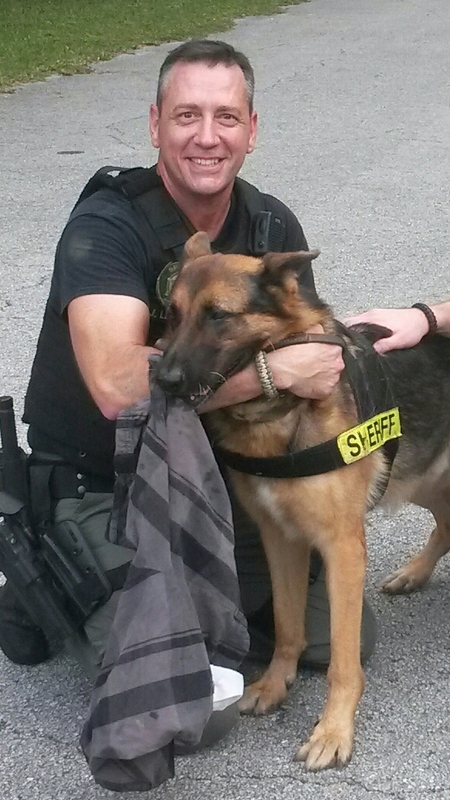 K9 Shep is from Hungary and was only in the states for two weeks before being paired with Deputy Carmack. Deputy Carmack and K9 Shep did a 16 week patrol school with K9 trainer J. Rux and was FDLE certified in December of 2015. K9 Shep also received a certification in narcotics detection in September of 2016. 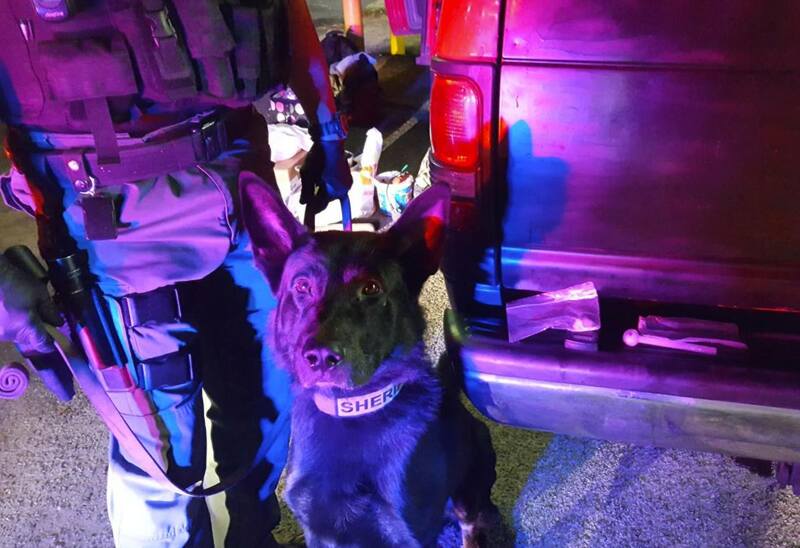 K9 Shep loves to track bad people and find narcotics hidden in vehicles. 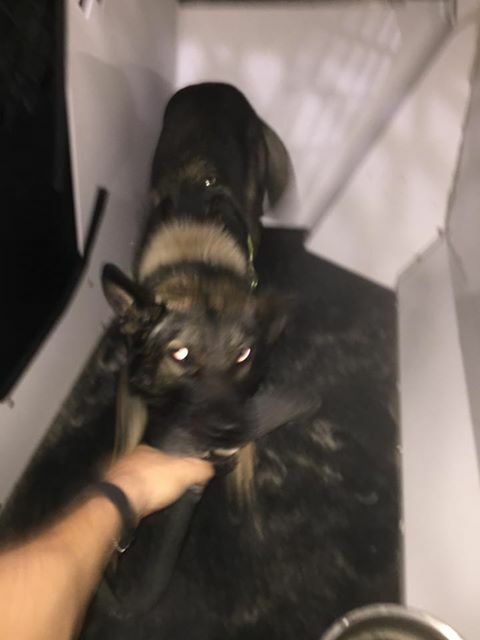 After every catch K9 Shep gets he receives doggy ice-cream when he gets home. K9 Shep loves to go to work and while Deputy Carmack gets dressed he waits at the door waiting to leave. 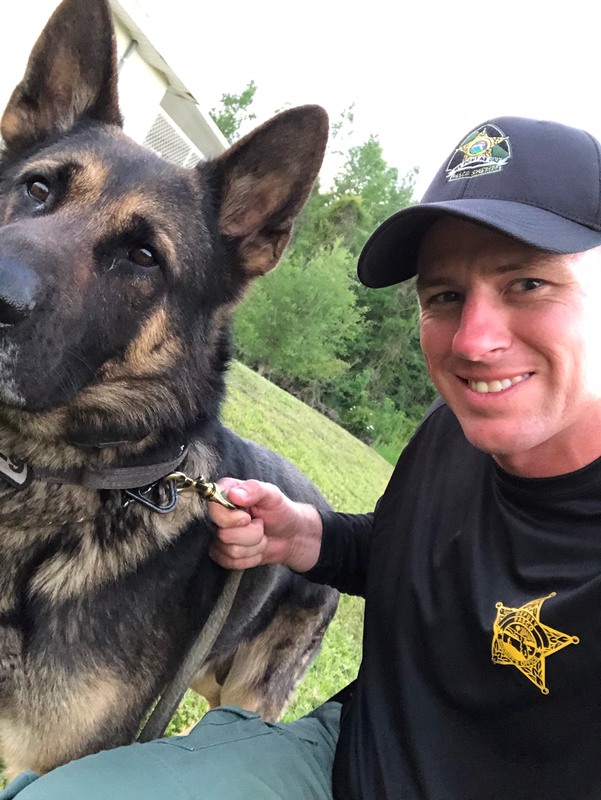 Deputy Carmack and K9 Shep have a great bond and love to patrol the streets of Pasco County. 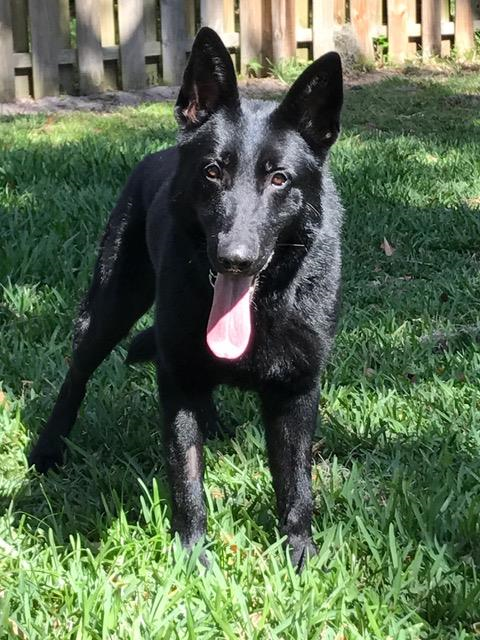 K9 Titan is a 2 year old German Shepherd who was donated to the Sheriff’s Office by Wesley Chapel Nissan in December of 2015. K9 Titan is the partner of Sgt. W. Ferguson, and they are both learning how to be a successful K9 team together. Sgt. W. Ferguson and K9 Titan received their FDLE Patrol K9 Team Certification in May of 2016 after 4 months of K9 Patrol School, and have been patrolling the streets of Pasco County since then. To date the team has had 8 catches. 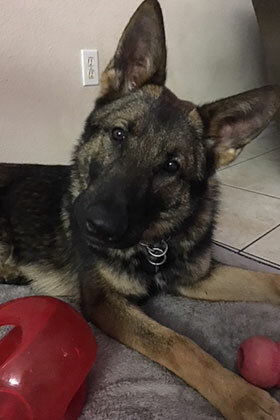 At home, K9 Titan enjoys relaxing with his partner and family. He loves chasing balls in the yard with his German Shepherd sister, and is extremely patient while being a “patient” getting check ups by his partner’s kindergartner. Sgt. W. Ferguson considers it a honor and a great blessing to be a K9 handler, and to be partnered with his furry friend. He also wants to thank the generosity of Wesley Chapel Nissan for donating such a great asset to the community of Pasco County. 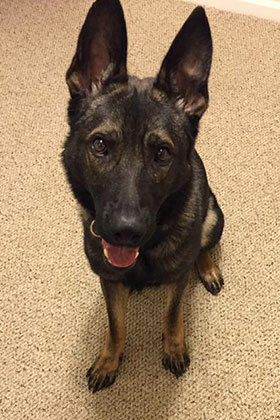 K9 Tundra was born in Hungary and was partnered with Corporal Cliff Baltzer upon arriving in the United States. His name is a tribute to Wesley Chapel TOYOTA, where he was donated from. 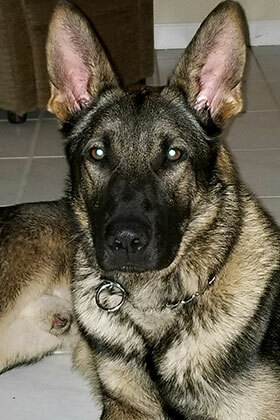 K9 Tundra is in his second month of K9 patrol school and upon graduation, his duties will include searches (building, evidence, article), pursuit & apprehension of fugitives, locating missing & endangered individuals, & participating in community demonstrations. 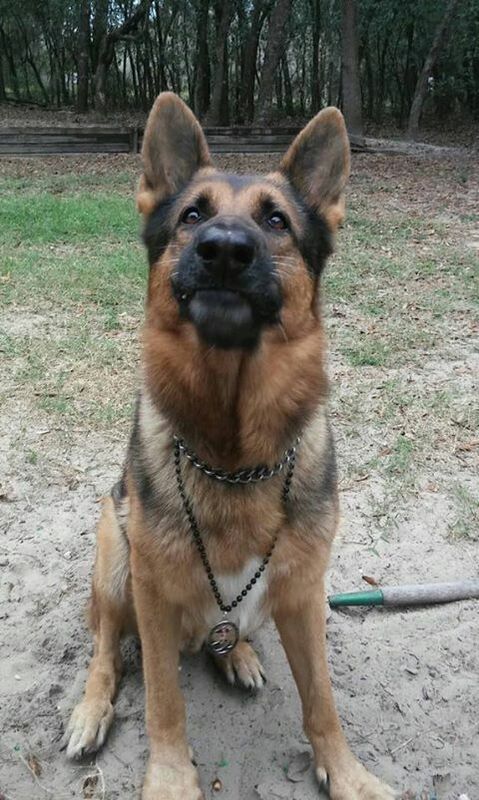 He looks forward to becoming certified in EOD/bomb detection in the near future. K9 Tundra knows he has some big shoes to fill, as his predecessor and new big brother is “the one and only” K9 Eragon, who is retiring from the K9 unit. 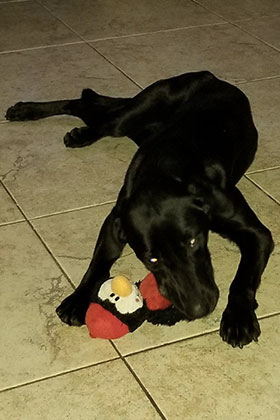 When not in training, K9 Tundra loves playing with his furry siblings and making a mess around the house! 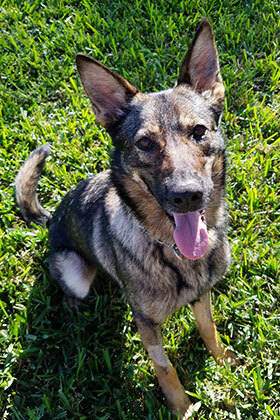 K9 Tundra is almost 13 months old and is a fast learner, eager to begin his responsibilities and meeting the residents of Pasco County along the way. 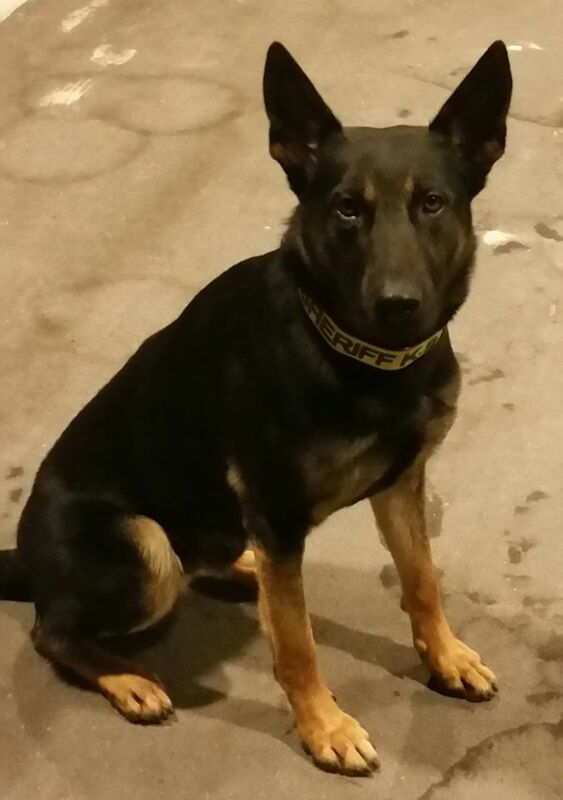 K9 Yager was born in Slovakia on October 15th, 2015 and was donated to the Sheriff’s Office by CCS Medical Group. K9 Yager is highly intelligent and is always eager to train. 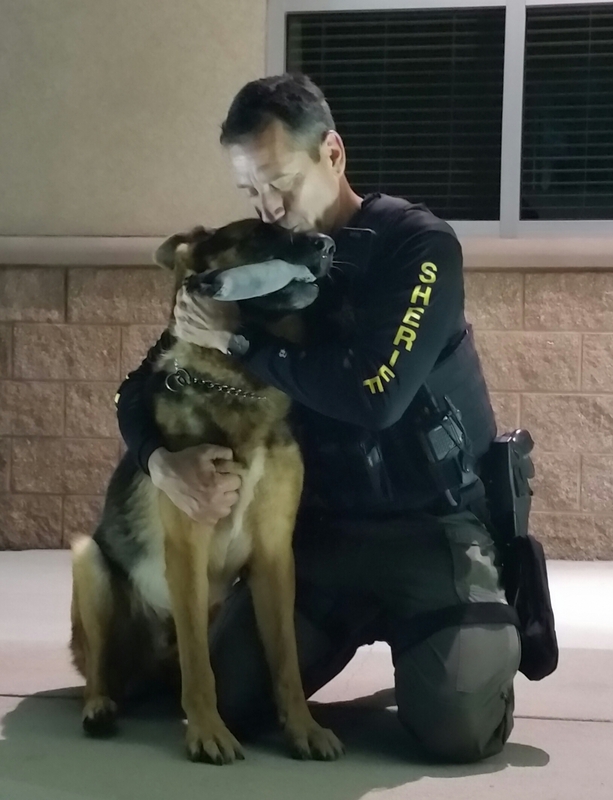 He is the partner of Deputy M. Sentner, and both are currently attending K9 patrol school together. Upon graduating, K9 Yager will be trained in obedience, agility, evidence recovery, building/area searches, tracking, and criminal apprehension. 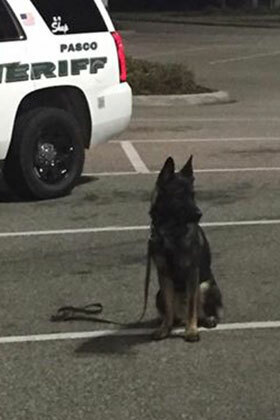 When K9 Yager is off duty he enjoys playing with Deputy Sentner’s two other dogs. He is extremely driven and will find and retrieve any toy endlessly. 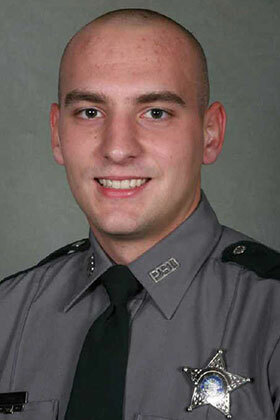 Deputy Sentner has been with the Sheriff’s Office since 2005 and has worked in Corrections, Booking, and Patrol. He also serves as a member of the Agency’s SWAT team. K9 Yager and Deputy Sentner continue to build a strong partnership each day. This team is looking forward to many successful deployments in the near future. 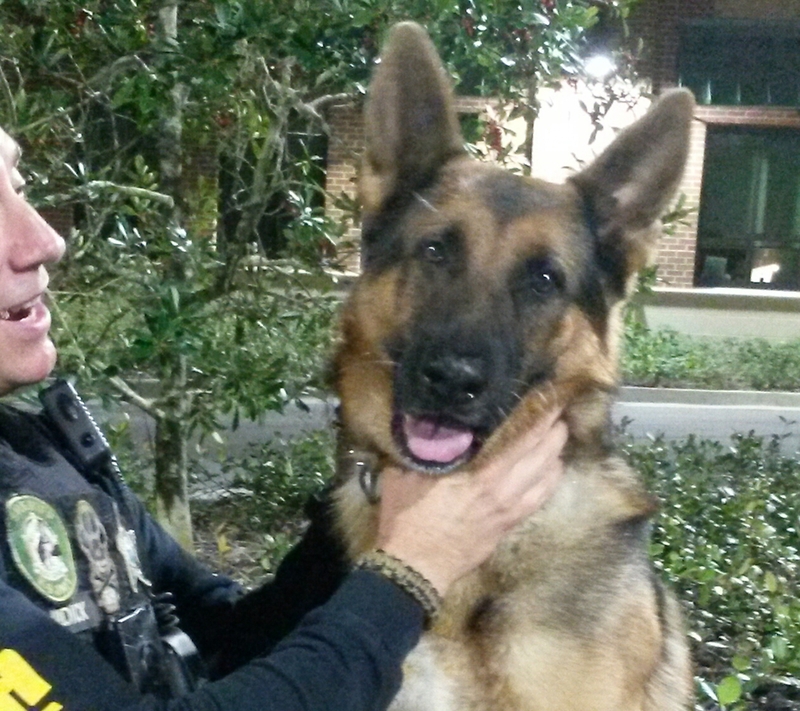 K9 Yogi is a 3 year old German Shepherd and has been with the Sheriff’s Office since 2014. 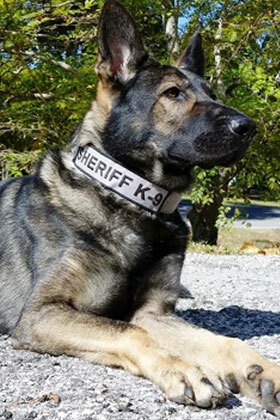 He was purchased at the age of 15 months by the Sheriff’s Office after arriving from Germany and was in the United States for one week when he was paired with his handler, Deputy Mark Pini. Along with his handler, K9 Yogi received his FDLE Patrol K9 Team Certification in March of 2015 after 4 months of K9 Patrol School. K9 Yogi also received a certification in narcotics detection in September 2016. 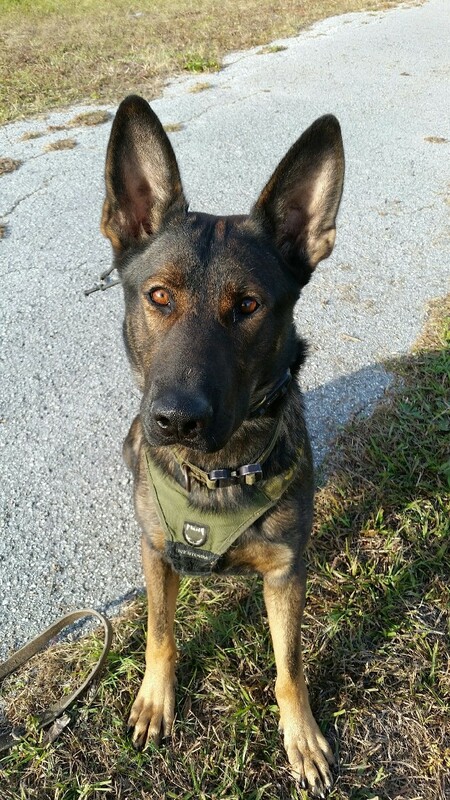 K9 Yogi is extremely motivated and is always excited to go to work. 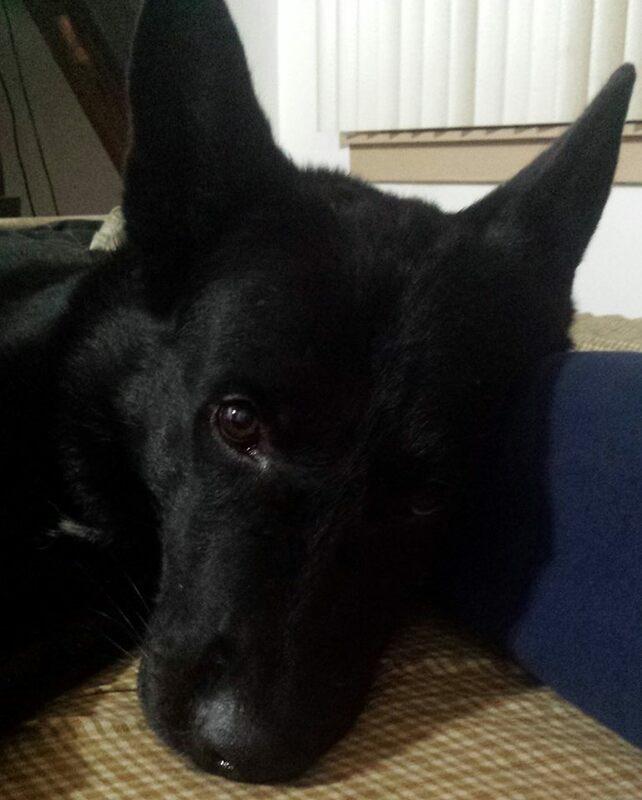 At home, K9 Yogi enjoys relaxing at home and resting up for his next shift. He loves milk bones, and chewing on his Kong toy. 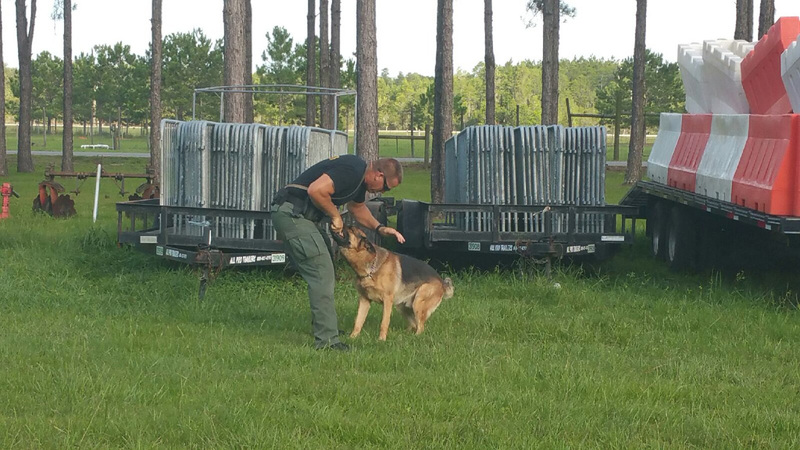 One of K9 Yogi’s favorite things to do is chase around Deputy Pini’s 3 year old son. K9 Pini has become a great partner and has forged an awesome bond with his handler and family. 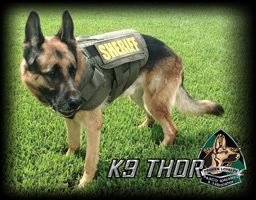 K-9 Thor was born on April 10, 2008 in Mannheim, Germany. 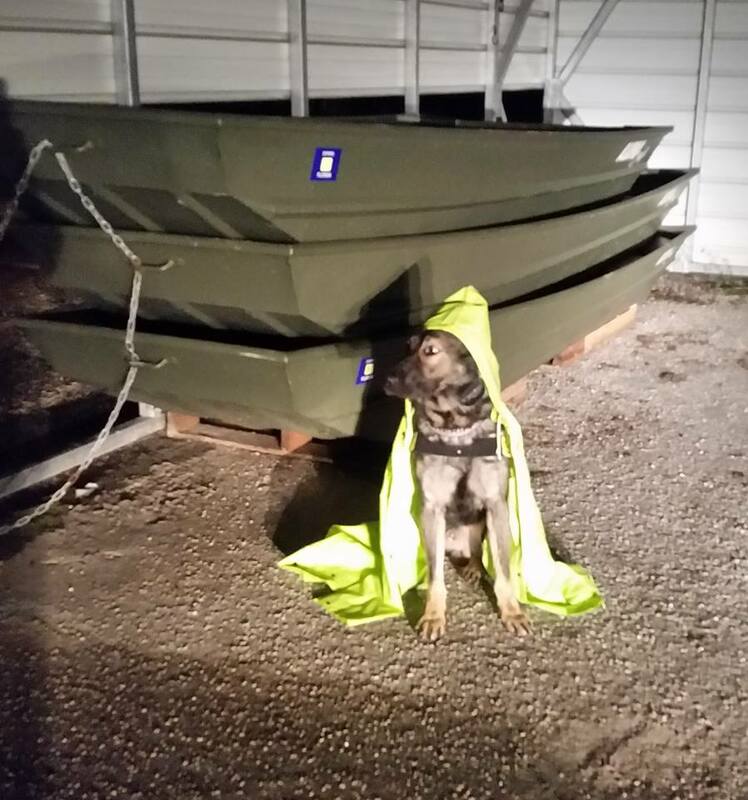 K-9 Thor is dual certified in both patrol tactics and narcotic detection. 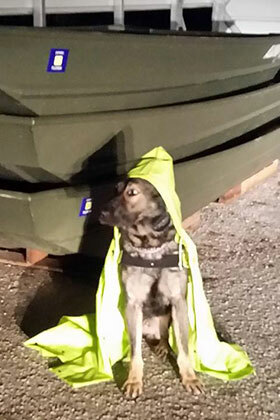 K-9 Thor went through a strenuous 520 hour patrol training school. 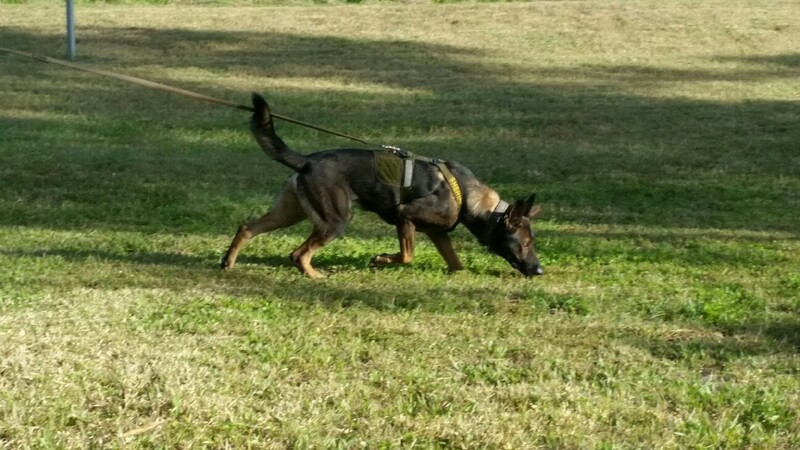 The patrol school prepared him for all aspects of his job which includes: obedience, agility, evidence recovery, building and area searches, tracking and criminal apprehension. 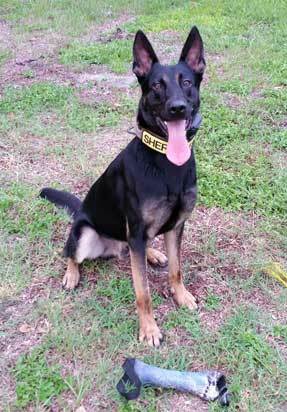 K-9 Thor graduated patrol school in February 2010 and has been protecting streets of Pasco County ever since. 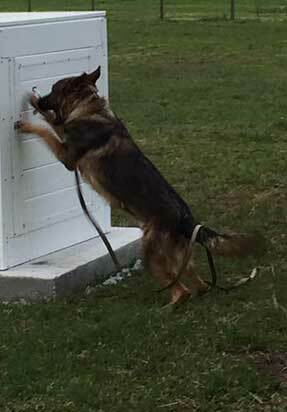 K-9 Thor plays a very important role in training while Cpl. Rux instructs the new handlers. Cpl. Rux will use K-9 Thor to show the new handlers how to perform all the aspects of training so the new handlers can see it before they do it with their new partners. But ultimately, K-9 Thor would rather be at the end of the lead hunting down criminals and locating missing or endangered people. Corporal John Rux has been employed with the Pasco Sheriff’s Office since 1996 and was assigned to the K-9 Unit in March of 1998. 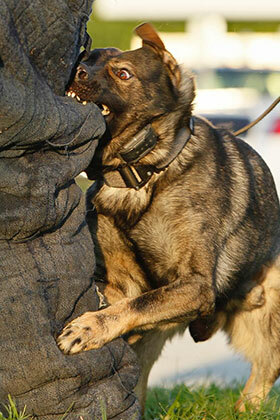 Corporal Rux was teamed up with his first partner, K-9 Emir, for 5 years before being partnered up with K-9 Sam in 2002. Corporal Rux worked K-9 Sam until 2010 when he was assigned K-9 Thor. 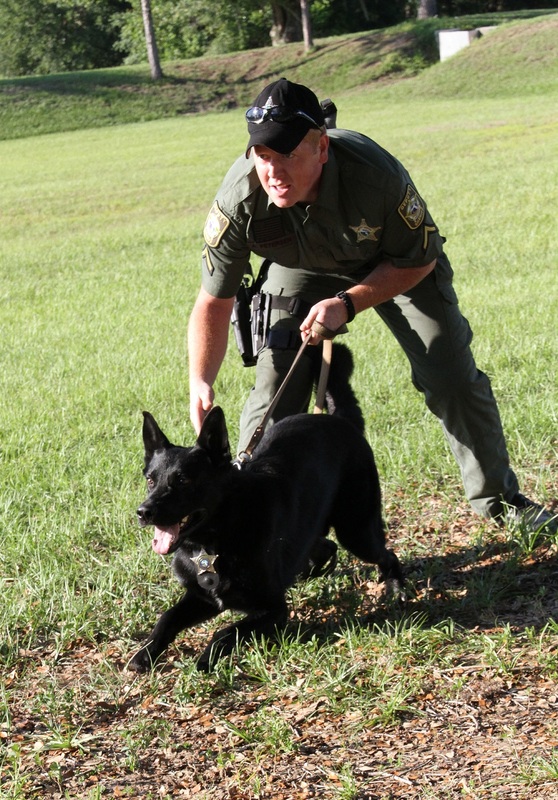 In 2004 Corporal Rux went to K-9 Instructor school and quickly became the Head K-9 Trainer for Pasco Sheriff’s Office along with the city municipalities within the county. 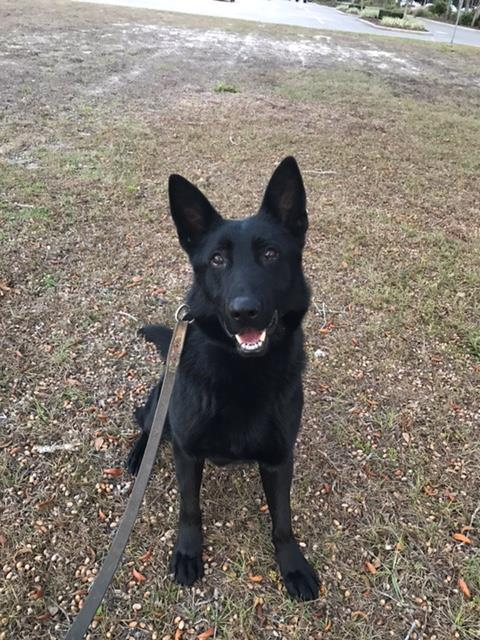 Corporal Rux is also a FDLE State Certified K-9 Evaluator which allows him to go around the state and certify other K-9 teams. Cpl Rux has trained over 30 K-9 Patrol teams and 15 Narcotic Detector K-9 teams to date. In 2001 Corporal Rux was awarded the Suncoast 10-13 Club Deputy of the Year. The Suncoast 10-13 Club are retired New York City Police Officers from Hillsborough, Pinellas and Pasco Counties and each year they take cases from all three counties and pick the best one to give the award to. 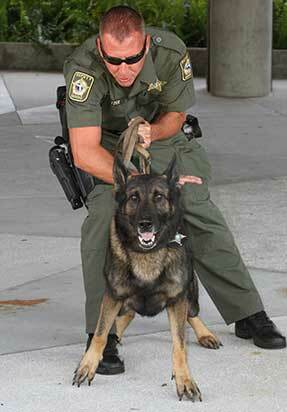 In 2006 Corporal Rux and K-9 Sam were awarded the Pasco Sheriff’s Office Deputy of the Year award. Handler Dep. 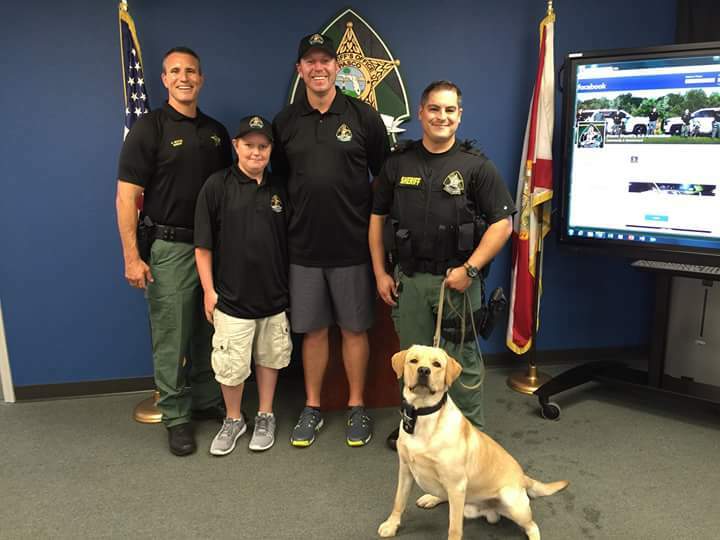 Joe Liddick is a former United States Marine who joined the Pasco Sheriff’s Office in 1996 and became a member of the K-9 Unit in 2000. In 2008, Joe partnered with 9-month-old K-9 Ace and the team hit the streets a few months later. This K-9 team has successfully tracked and located over 340 people to date, and they hold the record for the most catches in a single year at 75. Joe and Ace have located everyone from missing children to Homicide suspects. The team was awarded 2014 Pasco Sheriff’s Office Law Enforcement Deputy of the Year. They are also certified in Explosive Detection and area a part of the Tampa Bay Regional Bomb Squad. They have assisted F.B.I., Secrete Service, ATF, FDLE, and other surrounding agencies with Dignitary protection and high profile events such as the 2012 National Republican Convention. 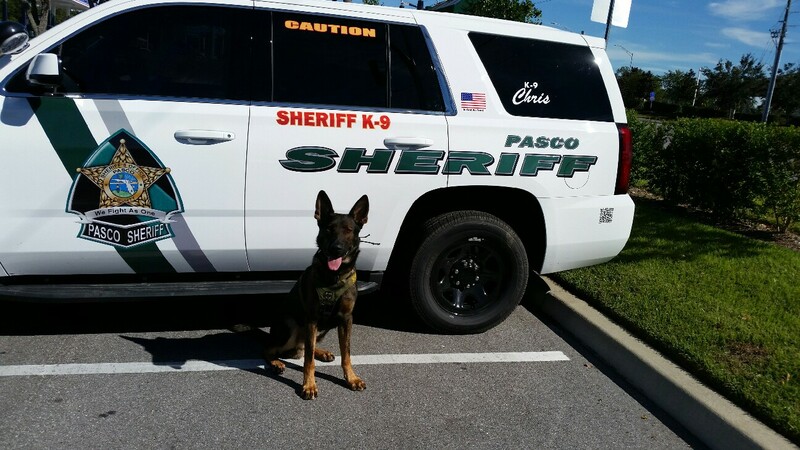 Deputy Liddick considers it an absolute blessing to be partnered with K-9 Ace and to be able to serve Pasco County. Nothing like playing “hide and seek” for a living. K9 Eragon is a dual purpose police dog that is trained in patrol, tracking and narcotics detection. 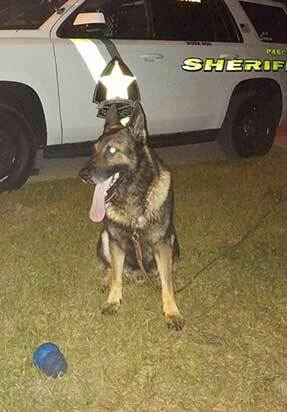 Eragon was born in Germany on Christmas Eve 2007 and came to the Pasco Sheriff’s Office in 2009. He has been partnered with Deputy Cliff Baltzer since February 2009. He began patrol after 580 hours of intensive training. 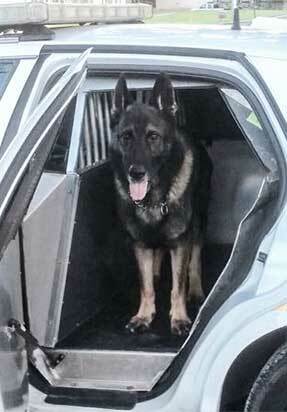 Eragon is a loyal partner and one of the more experienced K-9’s with the unit. He is dedicated to serving the citizens of Pasco County. 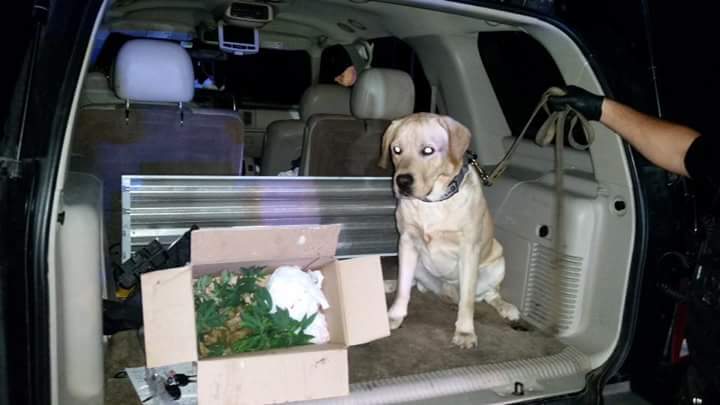 Eragon has accomplished over 280 apprehensions, as well as completing numerous drug finds, building searches, and article searches. 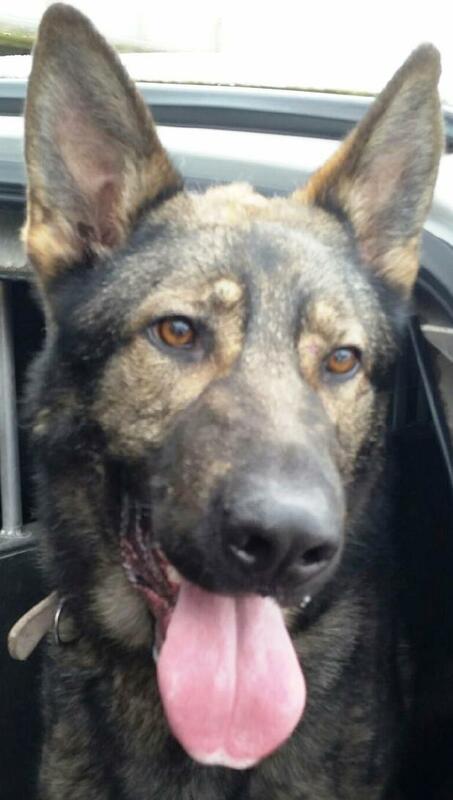 Eragon is an extremely loyal partner and makes being a K-9 handler worth every minute of the job. K9 Jet is partner of Cpl Anthony Petersen. 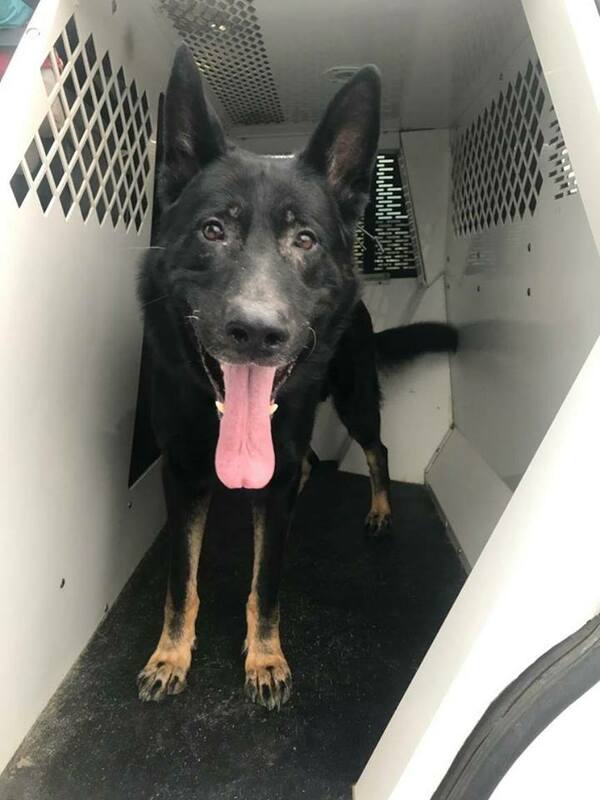 K9 Jet is a 7 year old German Shepard who was brought to the United States from Germany with the purpose of becoming a police K9. Jet was in the country about a week prior to being paired up with Cpl Petersen in December of 2011. K9 Jet is dual certified in both patrol work and narcotics detection. Jet’s favorite toy is a tennis ball and he has the ability to carry up to three at a time. 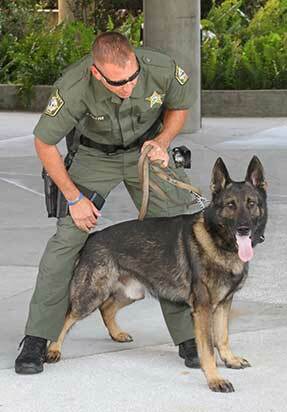 K9 Fin is three and half years old, and has been with the Pasco Sheriff’s Office about 2 and half years. He is a Patrol K9 and he is also a Narcotic Detection K9. He is the largest German Shephard in the unit, and weighs approximately 92 pounds currently. K9 Fin actually has more experience than his handler, Sergeant Cabbage, and he never lets him forget it. At home, Fin is super laid back and enjoys a good knuckle bone to chew on. He enjoys playing outside when off duty and will chase a tennis ball until you are tired of throwing it. Although full of energy, Fin definitely enjoys down time at home and has been known to nap with all four legs in the air. So far,there has been no complaints about his snoring from his neighbors!